High quality double bass by Archer, French style, suitable for 3/4 and 4/4 size instruments. An extremely well-specified, reliable French style bow, and a great upgrade for any of our non-Archer instruments. This range of string instruments was launched by Gear4Music.com in 2007 with a range of premium quality Violins, Cellos, Violas and Double Basses. Archer instruments by Gear4Music are built by carefully selected master craftsmen, who have many years of experience constructing top quality instruments. As a result all of our Archer instruments are built to precision and finished immaculately. By providing our team with the finest solid pieces of Canadian Spruce and Maple, we ensure that these instruments have a full bodied sound that you would expect of a premium quality instrument. All Archer instruments come as a package, which includes an instrument, bow, hard case and rosin. With all these items included, the performer can begin playing straight away. 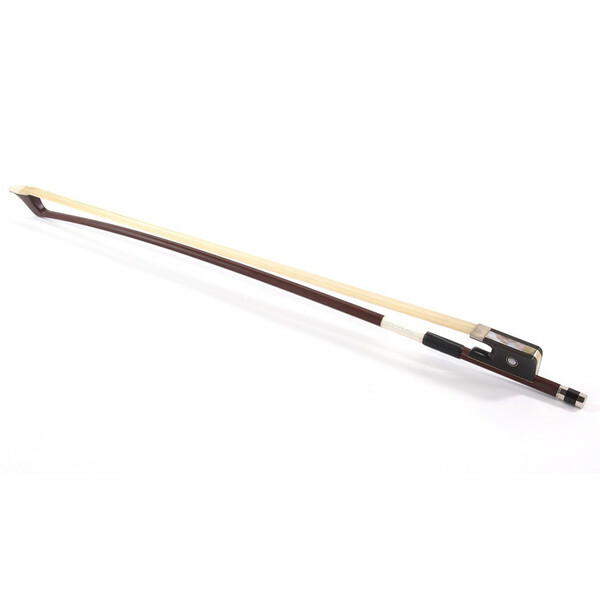 The Archer by Gear4Music instruments are renowned for their superior sound and offer the performer with a rich and responsive tone. They will reward any player with a timbre that will blend in to any orchestra or ensemble. Immaculate style and finishes provide the final flourish to these carefully crafted instruments. Archer strings will continue to raise the bar for both quality and price.